A journey of discovery that began in America has come full circle and found fruition on the Welsh Coastline. 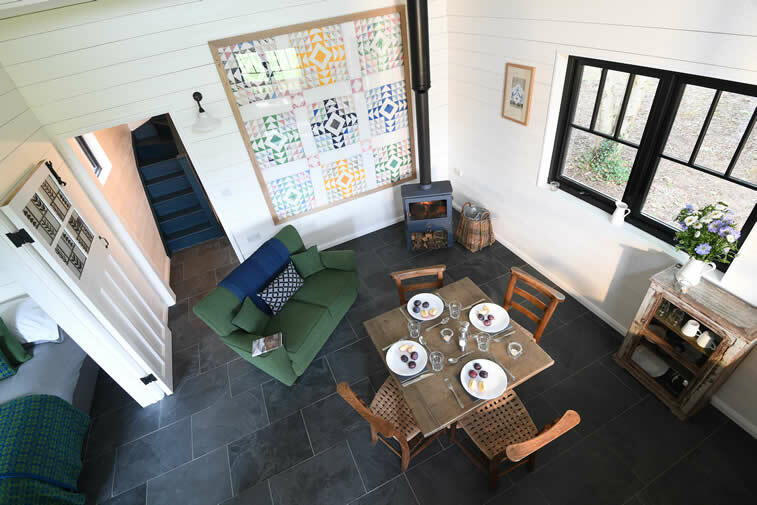 Walden Lodge is a hub of influences and inspiration from one continent to another, with art and craftwork whose subjects include Welsh migration, religion and poetry. 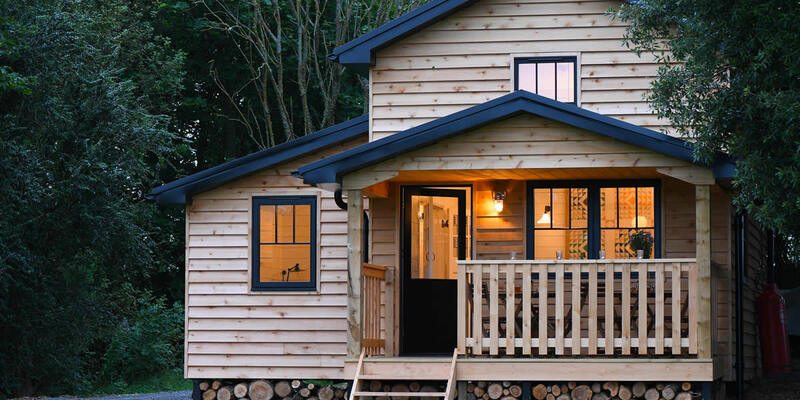 The spirit of the American transcendental movement and Thoreau’s classic book ‘Walden’ that reflects on simple living close to nature inspires the name and spirit of our lodge. 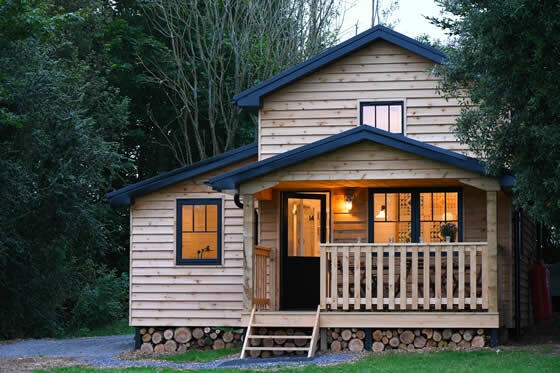 Walden sleeps 4, with two double bedrooms, one with an extra single bunk. 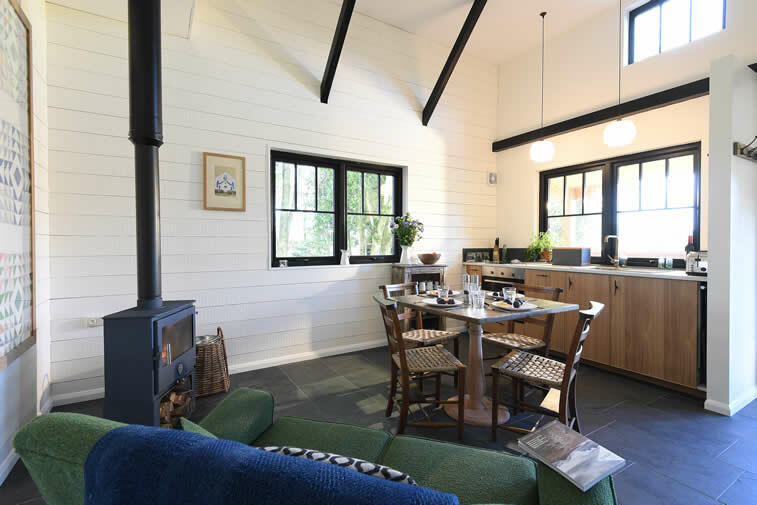 The bright studio kitchen has dining for 4 and is fully equipped. There is a cosy space to ‘cwtch up’ beside the wood burner in the colder weather. 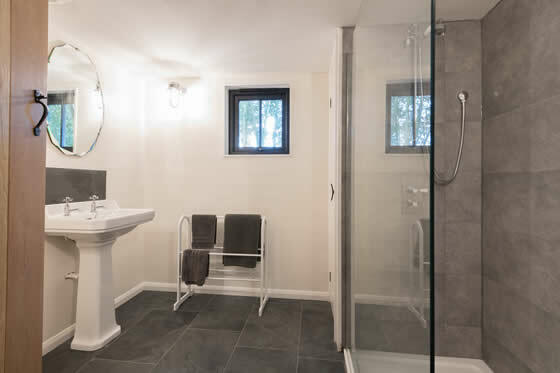 A spacious bathroom has a large walk-in shower. 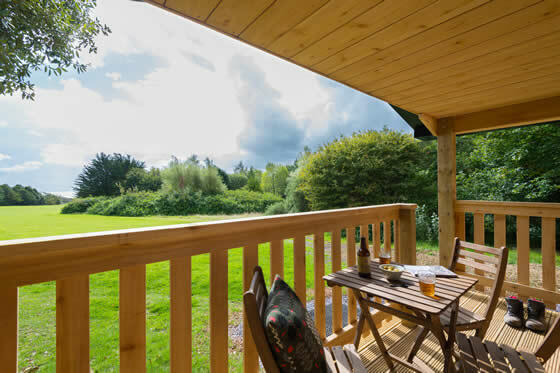 Your uninterrupted view, when sitting on your balcony, stretches as far as the Quantock Hills across the channel. 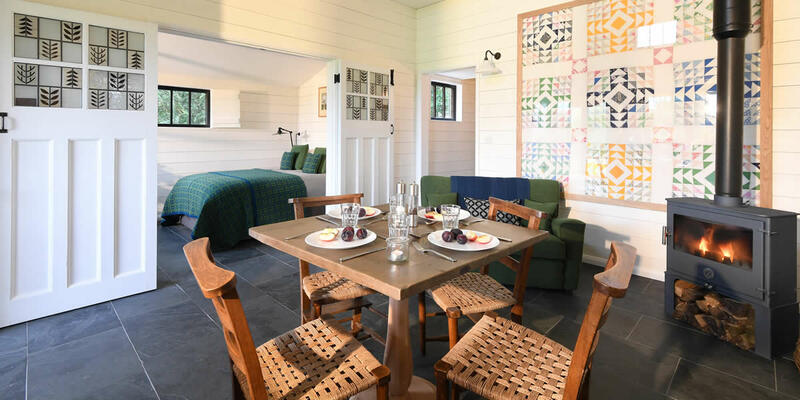 This hand-crafted lodge will offer a unique stay with notes of Welsh-American connections. 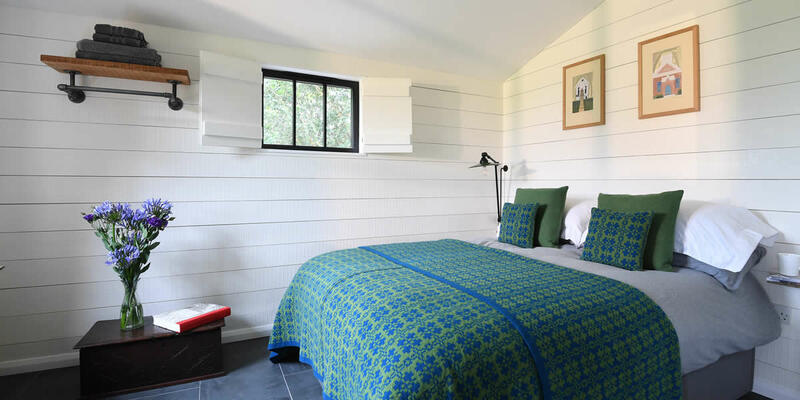 Walden Lodge is available from £140 per night, you can also book into the hide pavilion for breakfast every morning. Steve and I want to express our great appreciation to you both for your exceptional hospitality and helpfulness (in so very many ways) during our 5-day visit to Wales. We loved staying in your charming, well appointedcabannes, which far exceeded our expectations. HIDE is a delightful retreat, and you two make it a fantastic experience. We so enjoyed chatting with you and appreciated your recommendations for sightseeing, hikes, and dining. Glamping “HIDE” style is definitely our style. Wishing you continued success at HIDE. 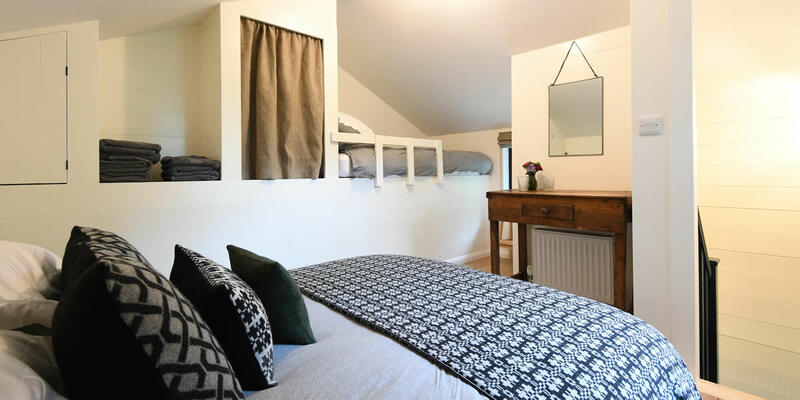 The lodge is suitable for adults or parents with teenagers (minimum age 12 years).